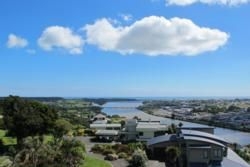 75km northwest of Palmerston North, the district of Wanganui (or 'Whanganui' – either is acceptable) is rich in both Maori history and the conveniences of modern, urban life. The river of the same name (on which the main city stands), is a kayaker's delight, at 260km long, while the area's stunning scenery and ease of access make it a popular destination for holidaymakers. Whanganui National Park is an undulating expanse of lowlands, forests and mountains, with the Whanganui River running right through the middle. If you're prepared to get a little wet, the 5-day 'Wanganui Journey' is a popular challenge for kayakers of all levels. The dozens of rapids en route all have their own names and stories attached, whilst accommodation is provided by a combination of campsites and huts along the way. Be sure to pre-purchase a Facilities User Pass (FUP) to gain access to these. Joining a cruise at the Whanganui Riverboat Centre, which also has a museum and heritage trail. 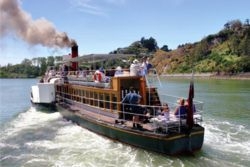 Jump aboard the 'Waimarie' - New Zealand’s last paddle steamer. Drive the Wanganui River Road. Let a local Maori family guide you around their riverside village, telling you korero (stories) and showing you taonga (treasures). Get the adrenalin pumping on a high-speed jet boat dash to the Bridge To Nowhere. 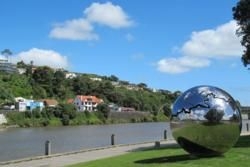 Most of the city lies on the northwestern bank of the Wanganui River, and taking one of the riverside walking tours is a great way to get around. There are plenty of trendy boutiques and cafe bars to break up your stroll, or how about jumping aboard a paddle steamer and let the river do the work? At Cook's Gardens, you can see where distance runner, Peter Snell, famously broke the world mile record in 1962, and it's also here that you can spend a lazy afternoon watching cricket or athletics. The Sarjeant Art Gallery and Royal Wanganui Opera House are added attractions, whilst the McNamara Gallery exhibits Wanganui's proud photographic heritage. For a truly unique take on things, visitors can experience the Durie Hill Elevator; the only earthbound lift in New Zealand. Close to the City Bridge, once at the top you'll enjoy spectacular views over Queen's Park and Taupo Quay, and perhaps plan the next stop on your tour of the city. 11km from town, the Bason Botanical Gardens is free to enter, and provides not only stunning flora, bird life and water features, but complimentary barbecuing facilities, so visitors can enjoy an al fresco lunch surrounded by the very best nature has to offer. Other green areas, such as Bushy Park, Matipo Park and Paloma Gardens, are all within easy reach of the city centre, or you could take a day to explore the nearby beaches at Kai Iwi Lakes and Castlecliff. Wanganui City lies at the intersection of State Highways 3 and 4, so is easily accessible anywhere by road. Daily flights operate to Wanganui Airport from Wellington (35 mins) and Auckland (60 mins). 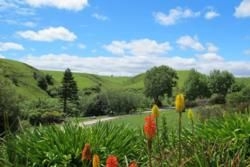 International passengers can fly into Palmerston North; an hour's drive from Wanganui. Intercity Coachlines has an extensive network of bus services which stop in Wanganui, though rail passengers are somewhat limited – the nearest station on the Auckland-Wellington line, is Marton – 25 minutes from Wanganui City.